Moist or dry fields and pastures; savannas (oak or beech-maple), especially in openings and sometimes abundant after logging or other disturbance. The 3 calyx lobes forming the upper lip are not only essentially without cilia but also more triangular-acute than the ciliate, strongly narrowed lobes in the superficially similar Clinopodium acinos. MICHIGAN FLORA ONLINE. A. A. Reznicek, E. G. Voss, & B. S. Walters. February 2011. University of Michigan. Web. 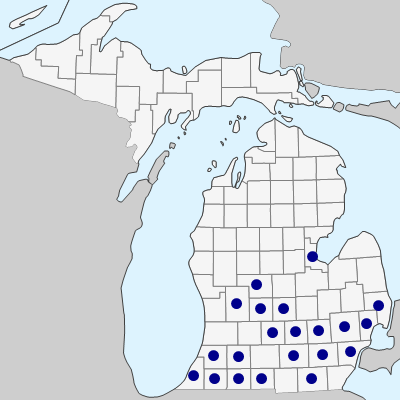 April 19, 2019. https://michiganflora.net/species.aspx?id=1549.